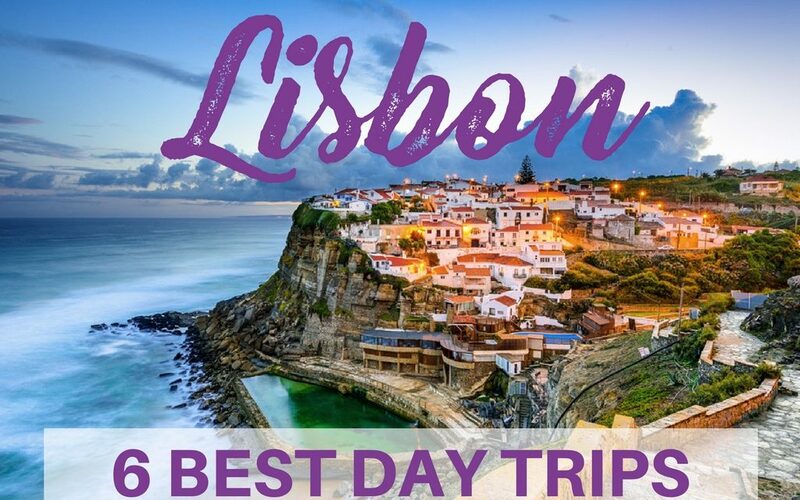 Are you planning a trip to beautiful Lisbon Portugal and are wondering about the best day trips from Portugal? Well, then you´ll find out about five wonderful day trips from Lisbon – beautiful places near Lisbon. Portugal, and particular Lisbon region, offers a pulsating urban city, nice beaches and stunning landscapes – the diversity will turn your holidays most likely in everything but boring. 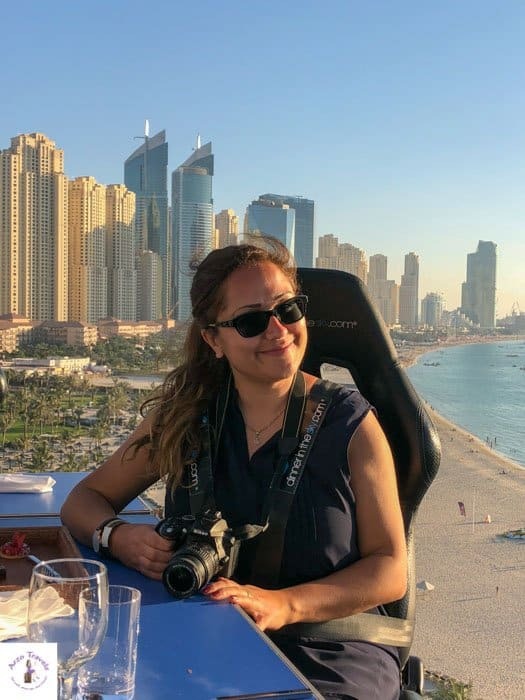 Find out about my must-see spots for that region and more about Lisbon. 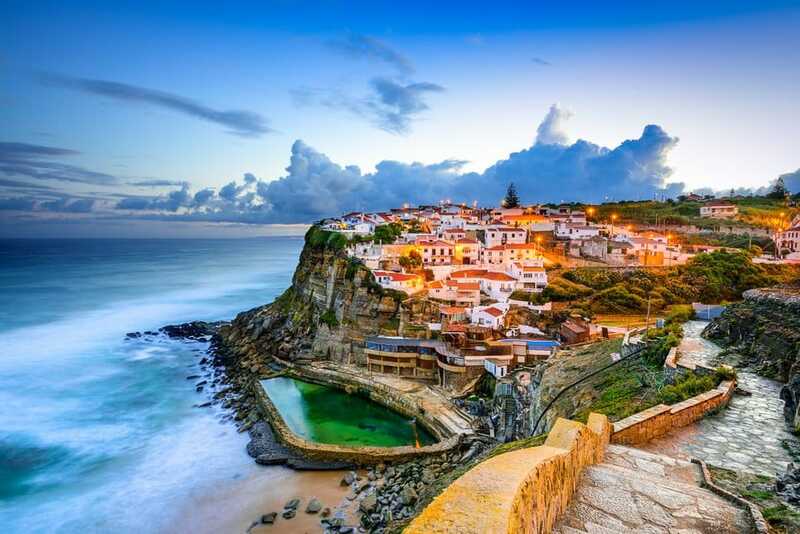 Cannot get enough of Portugal? 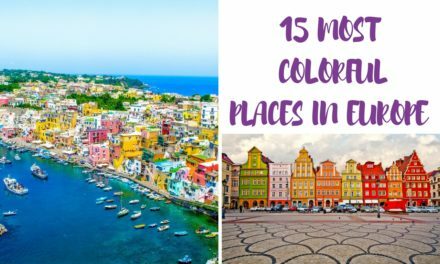 Then read about the most beautiful places in Portugal. 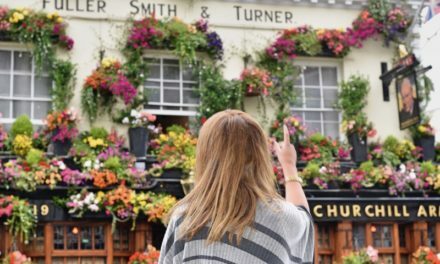 My friend and I did all the tours with a private guide – which probably was not all very legal :/ If you like to stick to the rules, which of course is the better option, you can book tours via GetYourGuide. 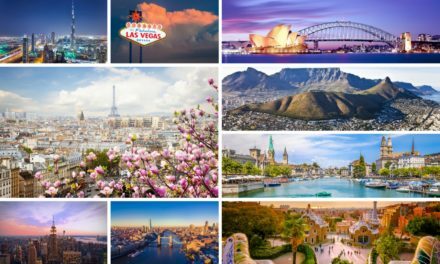 I have started loving them after booking some tours and if you do not know them yet you should try them out if you want to join organized tours and buy tickets in advance. 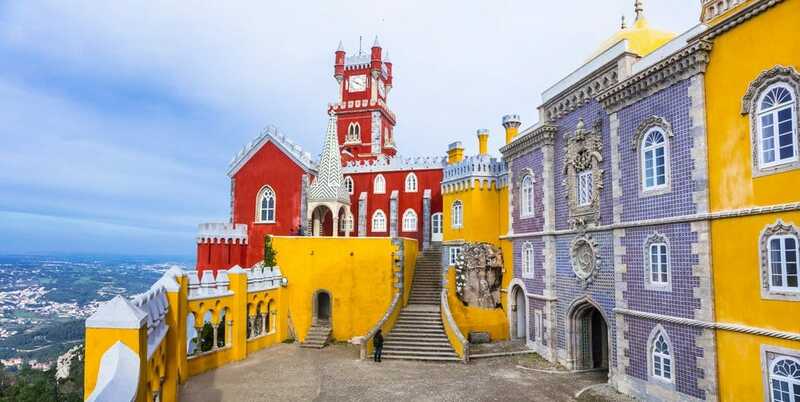 Let´s start with the 5 most beautiful places near Sintra. On my trip, we did not plan in enough time for exploring the castle (ou should plan in at least a few hours) so we just get to see it from outside. Though, I really loved my trip to Sintra I am still bummed I did not get to see the inside ion the palace but there is more to do and see in Sintra. We drove up the mountains in Sintra – to be more exact we went to the Santuario da Peninha.. The view from there is great, and the place is certainly a good place to enjoy some alone time in a gorgeous scenery. Adraga Beach is surely one of the highlights in the district of Sintra (about 40 kilometers from Lisbon). Luckily, the interesting rock formation can´t be overlooked and might be the most stunning detail making the beach very special. We were told, that the beach could be full of little stones and rocks and thus not worth a visit. However, the beach presented itself clean and rock-free with hardly any people (end of the season in October). Good news: A restaurant offers you the chance to grab some food and drinks. It is not the best price-performance ratio, but the view on the beach makes up for it though. As a dog owner I noticed the sign that says: Dogs are welcome at that beach. Check out prices for hotels in that area here. 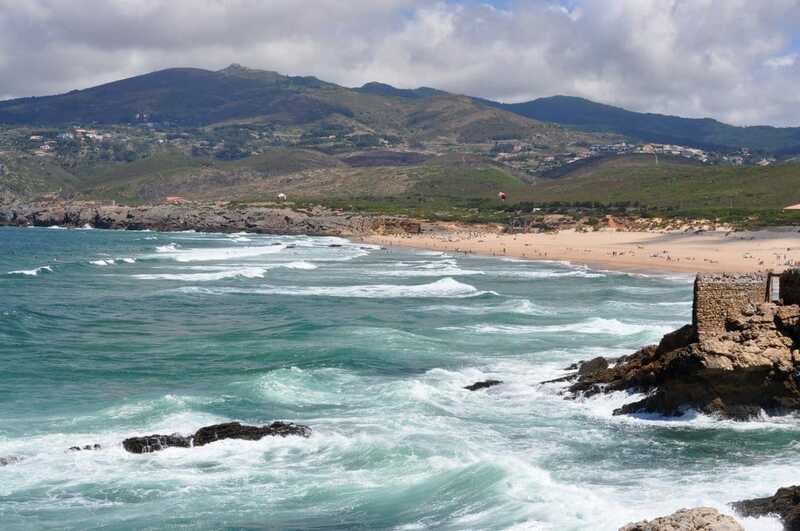 Praia do Guincho is a great beach for surfing and thus extremely popular among surfers. But it also invites you to walk, ideally barefoot, along the beautiful sand dunes while looking at the pretty rough waves. Want to stay longer? Then why not booking one of the accommodations next to the beach. And if you are tired of the too much nature, then you´ll just have to walk a few miles (haha) and you´ll reach lovely Cascais (pics below). Cascais one of the sweetest towns I have been to. 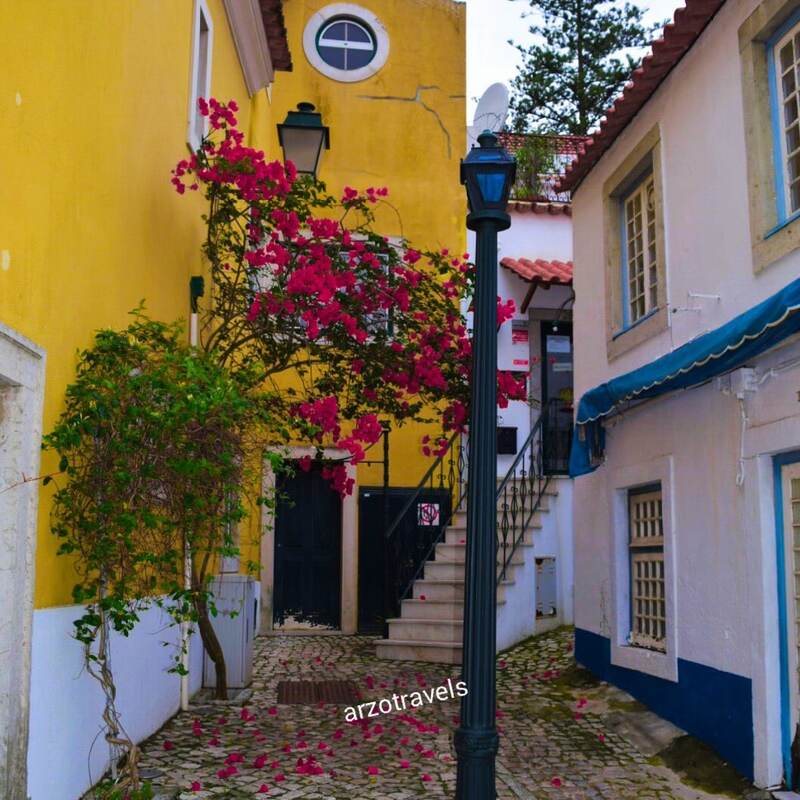 It is also in the region of Sintra and it´s an extremely cute town with pretty colorful and little streets. A small beach section, where you can relax at the sandy beach, jump into the water or watch artists forming interesting creatures made of sand, and the marina make this town one of my favorites places in Lisbon region. If you want to see a little bit more of the ocean and enjoy nice walks, I actually highly recommend walking from Cascais to Estoril (only a few miles). You will be rewarded with stunning views along the coast (pics below). 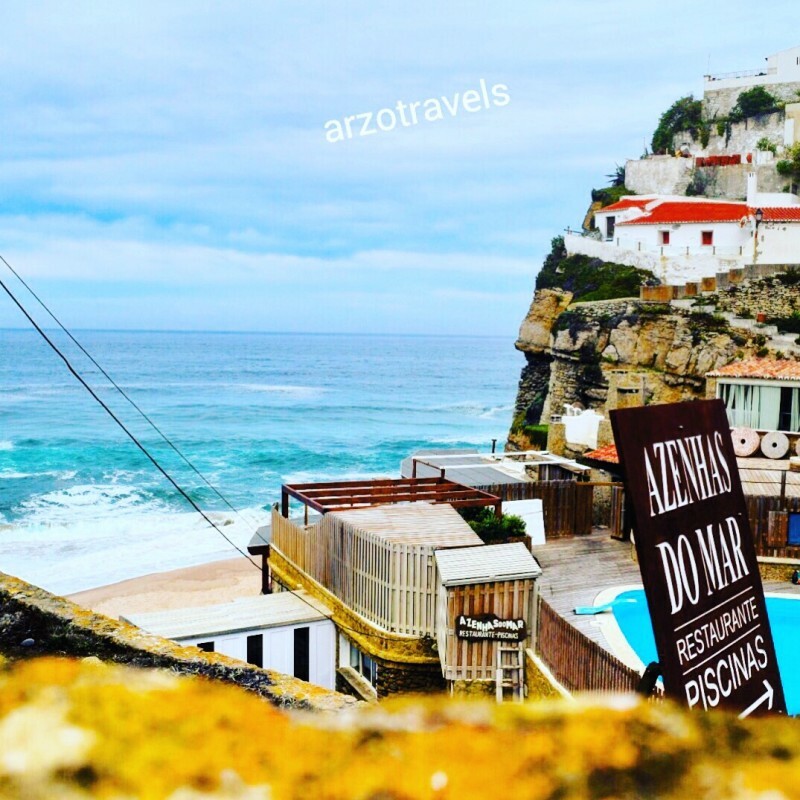 Azenhas do Mar is another “hidden gem” in Lisbon region (Sintra) which has won my heart. It is hard to get there by public transport and is thus mostly visited by Portuguese. If I weren´t a veggie and ate seafood, I surely had had lunch/dinner in this restaurant you can see in the pics. Isn’t that a perfect place to eat while looking at the ocean or watching the sunset? If you want to splash in the water but refuse to do so in the cold seawater you could still jump in the little pool upstairs. 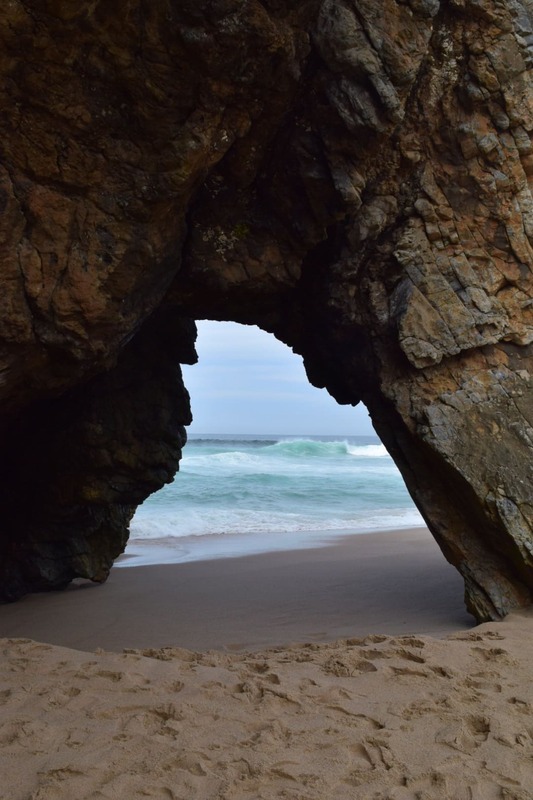 Just an amazing piece of heaven, though other pictures I saw showed a pool just in front of the ocean while looking at my pictures you´ll see only sand and a direct access to the ocean. However, I like both alternatives and would definitely like to come back (pics below). 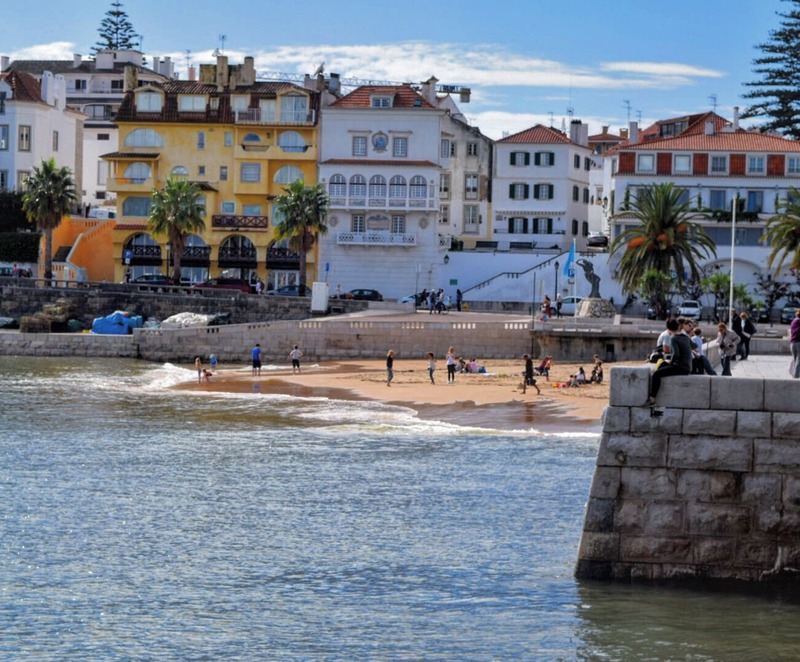 Estoril is another cute town between Cascais to Lisbon with a beach. This is perfect to combine a trip to Cascais and Estoril due to their proximity. 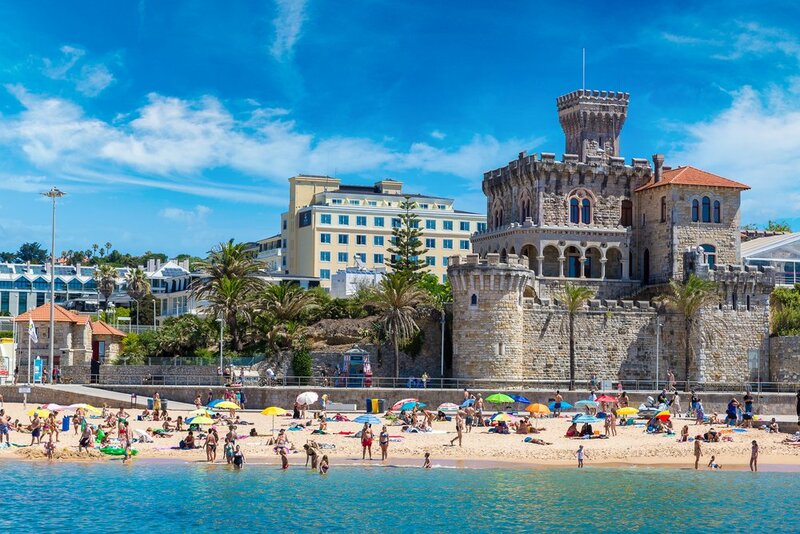 Within a few minutes you are in Estoril (by train) and since it is not big you can head to Cascais afterwards. Planning your own Portugal trip? I am jealous but also happy for you. Here are some more places to visit near Lisbon. Want to find out more about Portugal? Disclaimer: This post contains affiliate links – this means I will earn a small commission when you buy a product/book a tour via my links (at no extra cost to you). More about it here. 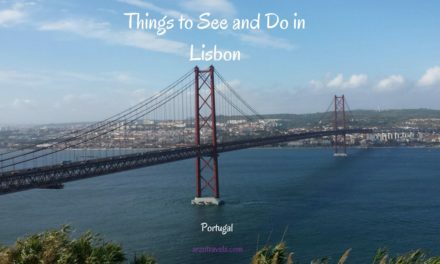 Head over to travel blogger AUTHENTIC CHICA to find out more about Lisbon.